Contrary to what you see on television, becoming a parent does not mean you need to trade in the keys to the Porsche 911 for an 8-passenger mini-van. Matter of fact, if you have less than three children that you regularly transport, buying a large mini-van may be overkill. While the new Sienna, Town and Country, and Odyssey are more efficient and sporty than ever, most daily driving situations rarely necessitate the extra real estate provided by these giants, especially in light of the reduced fuel economy and driving dynamics. Ruling out the mini-van doesn’t mean that you need to subject your kids to the horror that is technically classified as the back seat in the 911. I am a family man. I have an amazing wife and two kids, one who just started high school. I thoroughly understand the importance of owning a vehicle that works well for the needs of the family. I also understand that while I could enthusiastically recommend everyone buy a $113k Porsche Panamera GTS or the $94k BMW M5, the payments associated with those vehicles are not realistic for anyone trying to raise a family. My goal is to recommend four family friendly sedans that will not break the bank, have comfortable seating for five, adequate cargo space, and are exciting enough that you actually look forward to your turn for the car pool. I don’t think anyone fully realizes the incredible value of four doors until the day they drive their newborn baby home from the hospital. Rear-facing infant car seats are tricky enough, but safely loading and fastening in that precious little bundle of joy through a coupes off angle door opening is something that should be reserved for a David Blaine Street Magic television special. The need for four doors becomes equally apparent when your teenager lets out an audible groan every time they have to climb in and out of the back seat, which, from what I hear, is incredibly un-cool at middle school drop off, and pick up. Trunk space must be sufficient to house a collapsible stroller, not the tiny steel frame one either, the kind that has cup holders, an iPad station, and adjustable footrests. While not required, I would also recommend leather or some sort of stain resistant synthetic alternative upholstery. Cloth seats and toddlers don’t go well together, the sippy cup spill that takes a damp towel to clean off a leather seat, will require multiple sponges, scrub brushes and a wet-vac on the fabric counterpart. In light of my obviously subjective criteria, I present four fantastic family-fun 2015 vehicles. Each sedan is priced well under $40,000, will reach 60 mph in less than 6.5 seconds, and is just as at home in the elementary school car riders loop as today’s Automotive Addicts Cars and Coffee show. Last week Acura invited me to visit Petosky, Michigan to spend a few days checking out the all-new 2015 Acura TLX. Poised to be a strong challenger in the competitive mid-size sports sedan market and created to replace both the bulky TL and somewhat anemic TSX, in many ways Acura has built the automotive sports sedan equivalent of the Swiss army knife. The TLX is an understated, yet luxurious family car that offers grin-inducing performance. 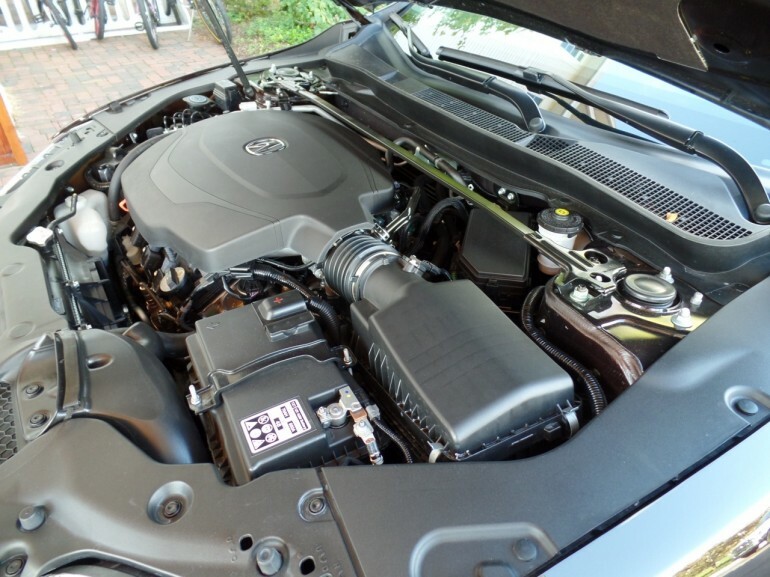 The 2015 TLX comes with two engine choices. The entry-level model is equipped with a surprisingly capable 206-hp 2.4-liter 4-cylinder that gets an incredible 24/35/28 city/highway/combined and can propel occupants from 0 to 60 in 6.5 seconds. For those who need a little more straight-line performance, a 290-hp 3.5-liter V-6 is available that is, amazingly, rated at 21/34/25 city/highway/combined and can get you to 60 in a swift 5.6 seconds. 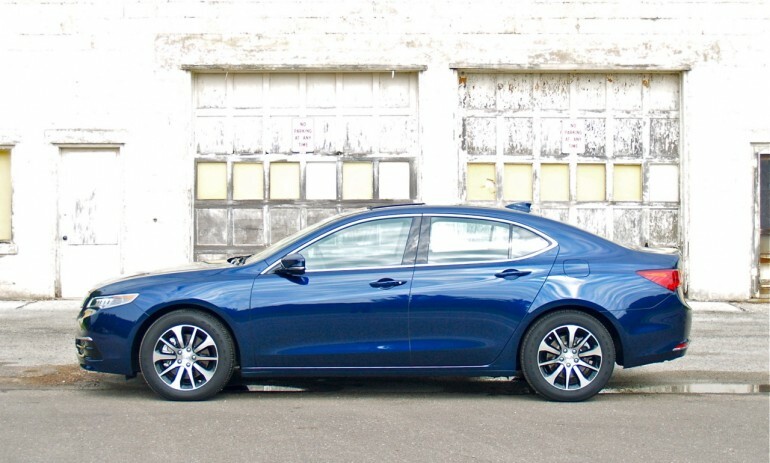 With amazing features like Acura’s Precision All-Wheel Steer (P-AWS), found in front-wheel drive models, that has been configured to work even under non-evasive driving, and the already mentioned all-wheel-drive system, the Acura TLX provides a feeling of connectivity rarely seen in a relatively inexpensive luxury sedan. The 4-cylinder TLX starts at $31,890 and the V-6, $35,115, both well below my $40k target price, but if you want to break the bank in exchange for the ultimate performance package, I would recommend spending $42,325 and picking up the Super Handling All-Wheel-Drive (SH-AWD) V-6 model. The SH-AWD model will also cost you three miles per gallon highway, but city and combined mpgs remain the same as the standard V-6 at 21/25. 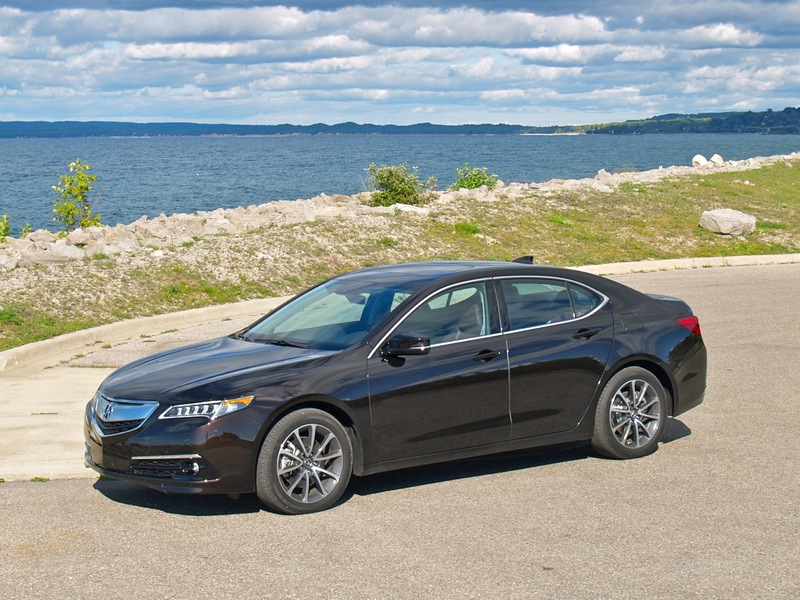 Compared to similar vehicles, the 2015 TLX offers an almost unheard of performance versus cost versus gas mileage ratio. 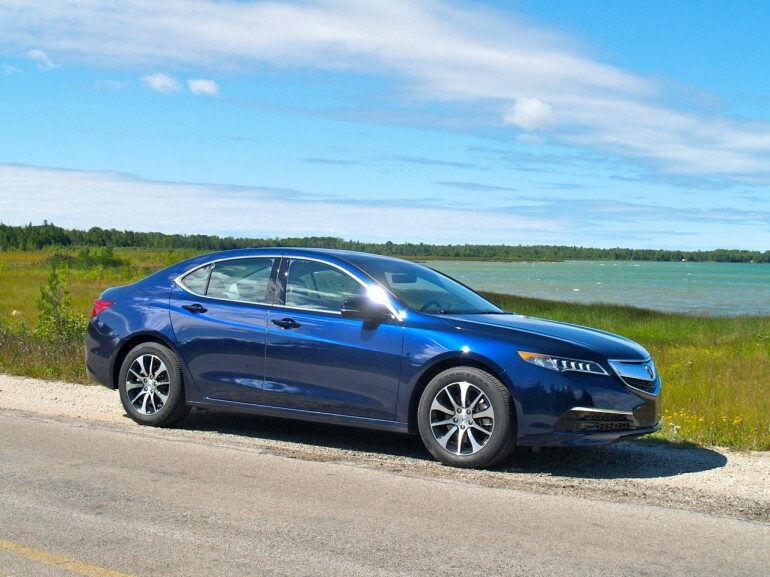 Although there are many amazing vehicles in this segment, the fantastic performance and gas mileage make the TLX this week’s pick for the ultimate family fun car in the luxury segment for under $40k. 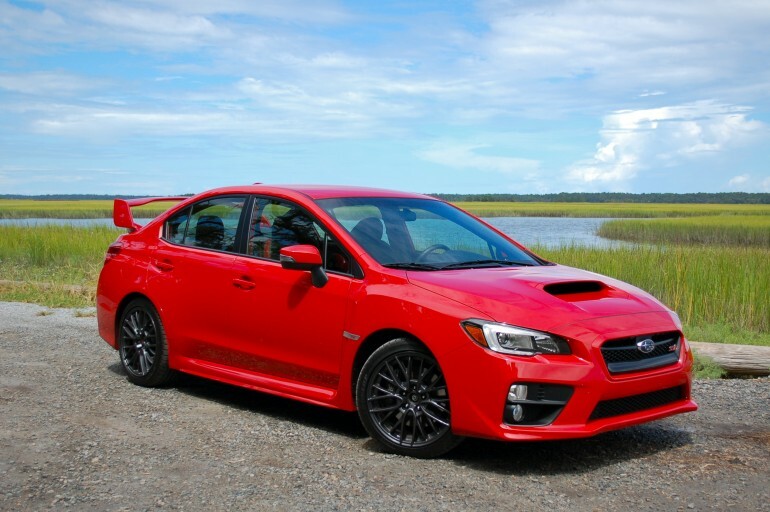 If the Acura TLX excels in refinement, the 2015 Subaru WRX STI is a rough and tumble street fighter with leather sport seats. 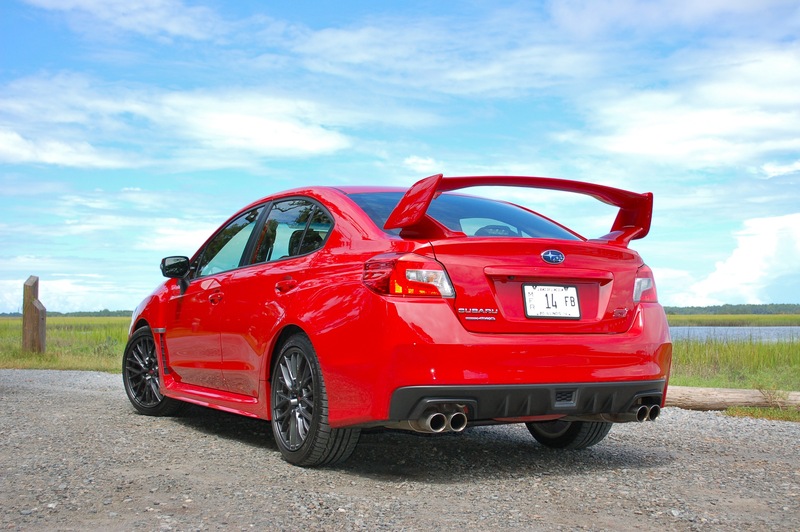 I was always taught never to judge a book by its cover, and the massive functional hood scoop and picnic table sized rear spoiler certainly scream “weekend toy”, but I can assure you, Subaru has built a car that fits everyone of my family friendly criteria. 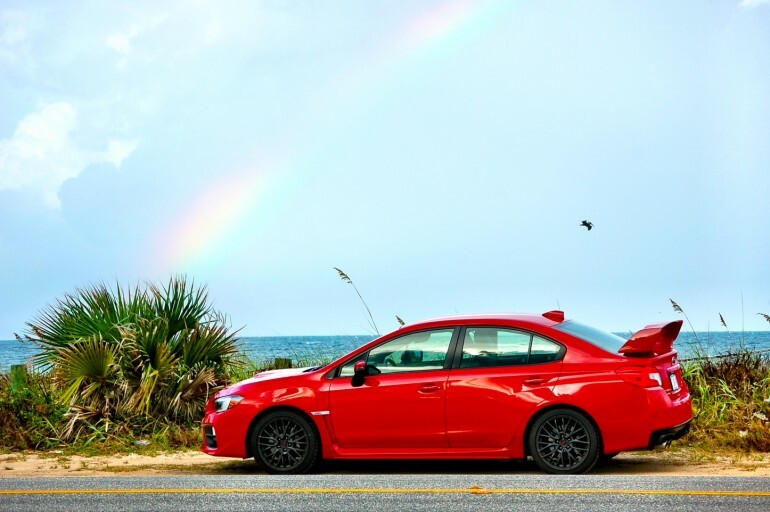 Powered by the legendary 305 horsepower and 290 pound-feet of torque 2.5-liter turbocharged boxer 4-cylinder engine attached to an amazingly fun short-throw 6-speed manual transmission, the four-door, five-passenger, excellent trunk space sedan will whisk you to 60 in a Subaru claimed 5.1 seconds. Independent testing has reported that number to be as low as 4.6 seconds, which is very fast, especially considering my childhood dream 1983 V-8 powered Trans-Am took 7.0 seconds to reach the same speed. Impressive as that may be, straight-line performance is not even where the WRX STI really shines. Subaru’s symmetrical all-wheel-drive, sport-tuned suspension, Brembo brakes, and razor-sharp steering combine to create one of the best handling cars I have ever driven, especially considering the price tag of only $34,495. If the TLX gets my luxury vote and the STI is my performance pick, then the all-new coming soon 2015 Dodge Charger is my “have-your-cake-and-eat-it-too” choice. Dodge has once again put a modern flair on the Charger’s iconic style, successfully recreating “the world’s only four-door muscle car” and powering it with a 292 horsepower 260 lb-ft of torque 3.6L V-6 that gets a best-in-class 31 mpg on the highway. 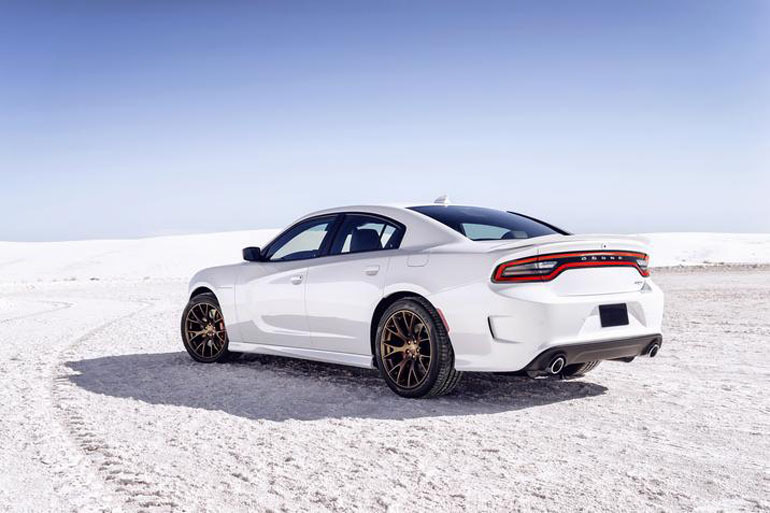 For those wanting even more go-power, the 370 horsepower and 395 lb-ft of torque 5.7L HEMI V-8 is strong enough to propel the full-size family friendly sedan from 0-60 in less than 6 seconds. Pricing has yet to be announced for the 2015 models, but I expect window stickers to be in line with the currently available excellent value 2014 models, starting at $26,995 for the base V-6 and $30,695 for the HEMI powered R/T. In full disclosure, I own a 2007 Charger Daytona R/T so I may be a bit biased. 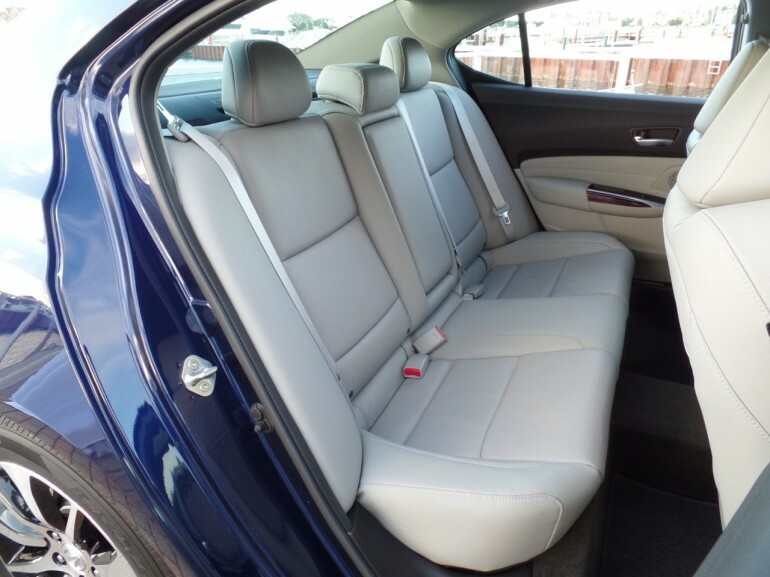 However, the oversized leather seats, ample room for up to five adults, and massive trunk make road-trip vacations a breeze. The kids have yet to complain about comfort or space and the performance oriented driving characteristics are on par, if not better, than the majority of price equivalent, but far less family friendly sport or muscle car options. 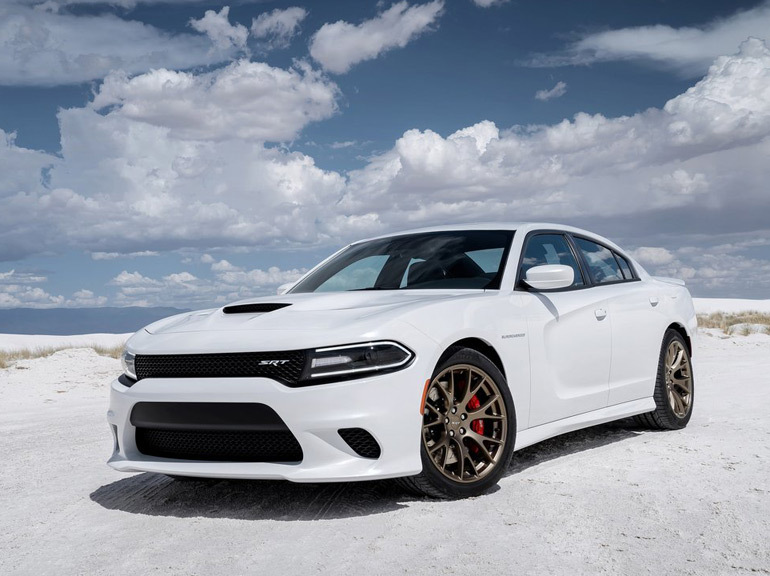 And of course there is the recently announced 707 horsepower 2015 Charger SRT Hellcat that Dodge is bragging will be the quickest, fastest, and most powerful sedan ever, arguably making the Hellcat a top-pick for the ultimate family fun car of all time.